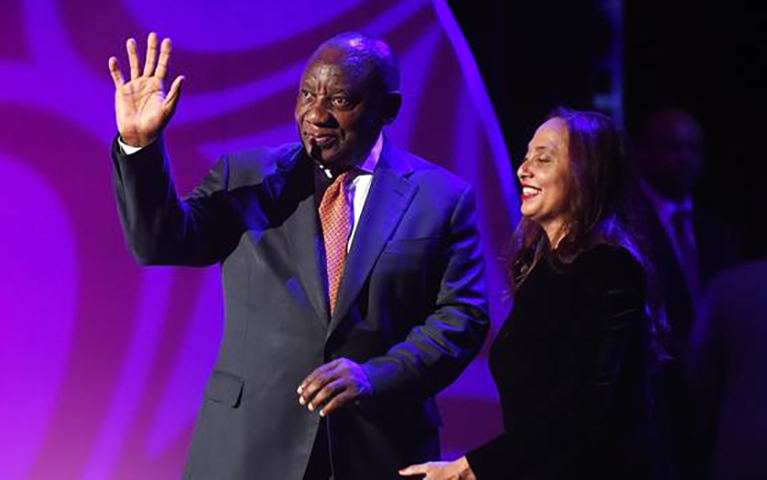 Cape Town – President Cyril Ramaphosa on Monday delivered the 8th annual Desmond Tutu International Peace Lecture in Cape Town. Ramaphosa’s speech focused on restorative justice in South Africa 20 years after the Truth and Reconciliation Commission. He also tackled peace and the contentious issue of land reform. The lecture takes place a day after Archbishop Emeritus Desmond Tutu’s 87th birthday, which he spent in a Cape Town hospital after he was admitted about a week ago for a series of tests. The Nobel Peace Prize Laureate has been battling prostate cancer for almost two decades and had been hospitalised since late last month. “Peace should be about justice and fairness. Peace should be about equal opportunity to develop as a human being. Peace is about ensuring that there is housing for all. Peace should be about gender equality in every respect,” he said at the lecture, adding that a peaceful society cannot be accomplished when women are physically and emotionally abused. © 2019 SBAfrikaans. Alle Regte Voorbehou. Digitale Projekbestuur deur Lightspeed Digital Media.